Scone purists, avert your eyes. :) This glazed scone recipe is more shortcake-pastry hybrid than anything traditionally found at a British cream tea. That said, it is also one of my favorites and a moist, delicious way to celebrate the entrance of winter citrus. 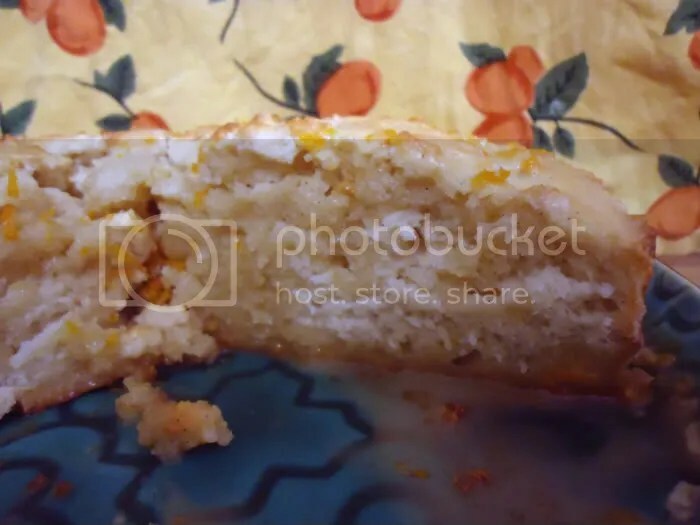 I made up this recipe after I got a craving for Panera’s orange scones (off limits for me now because of food allergies), and I couldn’t be happier with the result. They’re like sunshine in your mouth. 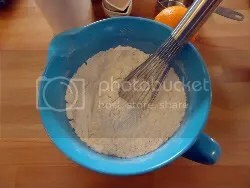 In medium mixing bowl, whisk together flour, baking powder, salt, sugar, and zest. Rub in butter with your fingers until mixture is soft and crumbly. I love the buttery orange scent at this stage. In small mixing bowl, whisk together egg, vanilla and almond extracts, and buttermilk/sour milk. Add to dry mixture and mix well until combined into a sticky dough. (You may need to add an extra 1/4 c. flour if it’s very humid.) Spread dough into a lightly greased 9″-round cake pan. Bake 30-33 minutes, until golden brown and tester in center comes out clean. Cool five minutes, then turn out on to rack and flip again so it’s right-side up. While cooling, make glaze. Whisk together juices, zest, and extracts, then add powdered sugar. Whisk until smooth. 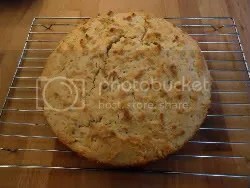 Place cooled scone round on plate and cut into twelve wedges. Pour over glaze and refrigerate at least 1/2 hour before serving — this gives the glaze time to thicken and soak in to the edges of the scones… yum. If you use all the glaze, there will be a puddle on the plate that will sweeten the bottoms of the scones as well. I don’t see that as a problem, but to each her own. 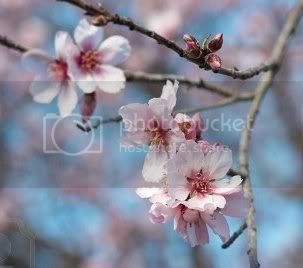 :) These just cry out for a glass of cold milk or a cup of hot Earl Gray tea. *Quick sour milk: if you don’t have buttermilk on hand, as is often the case for me, you can substitute homemade sour milk. Just put the juice of a lemon or 1 tbsp. vinegar in a liquid measuring cup and add milk until it totals one cup. Stir briefly and let sit 1-2 minutes before using. It’s a little extra work to make fresh zest and juice, but it’s worth it. No matter the quality of your favorite commercial orange juice, it cannot compare to fresh-squeezed. Full disclosure: I never squeeze a dozen oranges before I have a glass of OJ with breakfast, I pour it out of a plastic container just like everyone else. But this recipe wouldn’t be the same without the fresh juice. There is also no replacement for fresh citrus zest. Be sure to zest only the peel, not the bitter white pith. 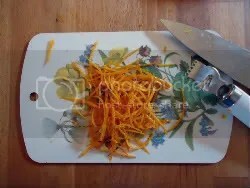 If you don’t have a citrus zester, you can use the smallest holes on your cheese grater; just scrape the inside of the grater with a silicone spatula when you’re done to get all of it.